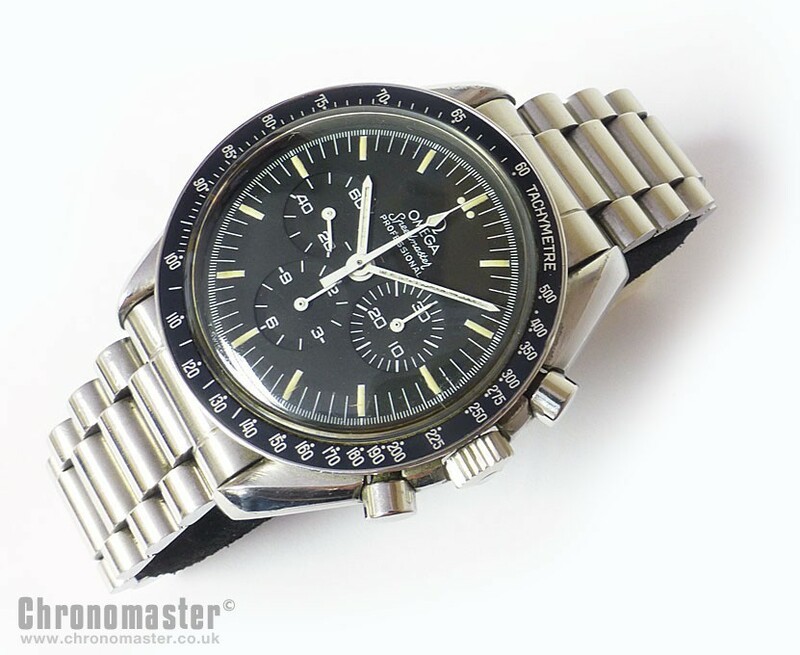 Excellent condition Omega Speedmaster Professional “Moon Watch” dating to the early 1980’s. It comes in the rare and collectible 1450 bracelet. 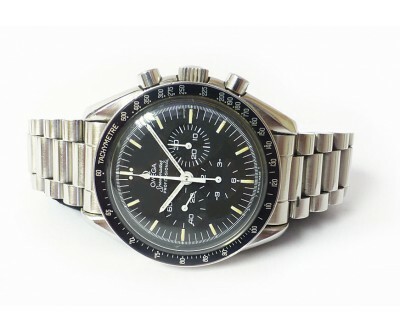 The retail price of this watch is £2,820.This is possibly one of the most famous watches ever made as it has a historical association with NASA and space travel. 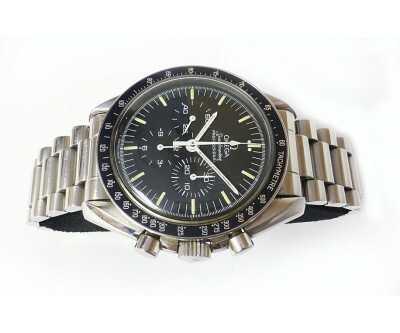 It has also gained legendary status which in attributed not only to it’s success in space as a professional instrument, but simply due to the fact that it is a beautiful looking watch, which is durable and practical, and can be worn on any occasion. This is whether traveling in outer space or worn with a tuxedo, or worn at a football match. 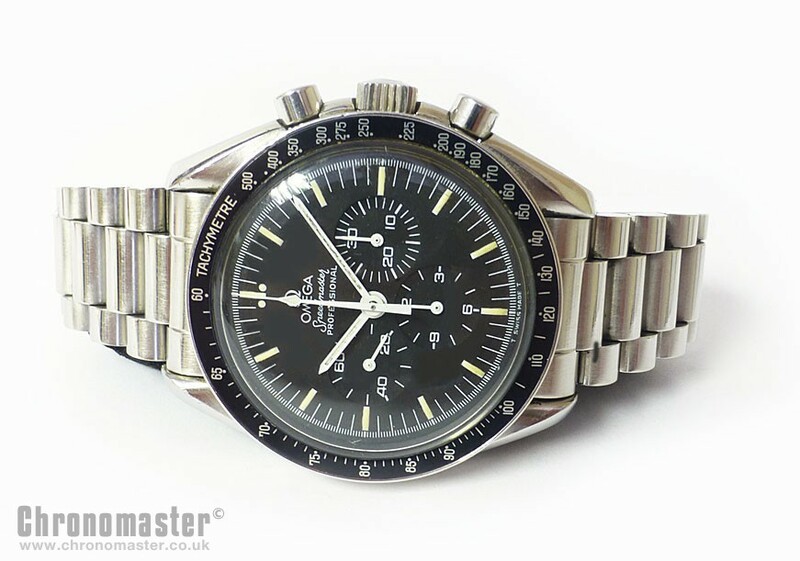 The Speedmaster passed all of NASA’s stringent testing when they were selecting a watch for their space missions in the 1960’s. The other would be watches crumbled half way through testing. 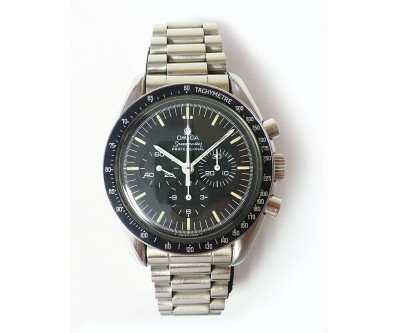 The other watches included some of the big name brands still around today. 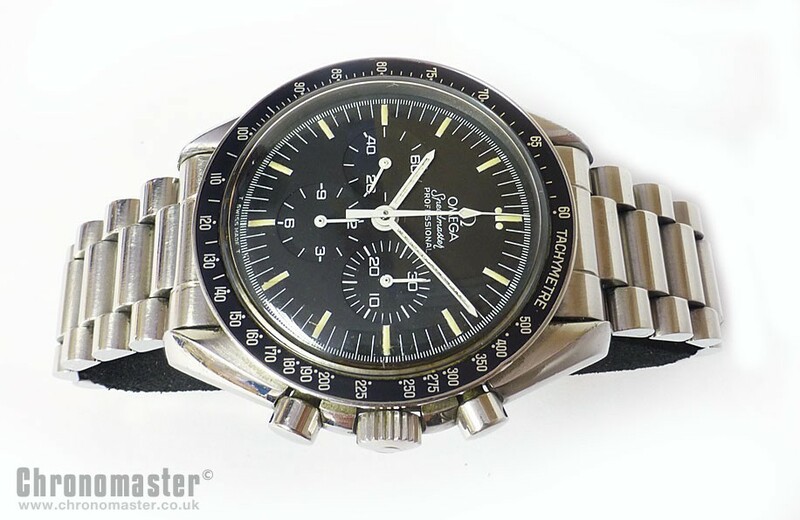 The Speedmaster however passed all of the tests and continued to operate as normal. This was with no special modifications as all of the testing candidates were purchased from a jewelers store in Texas. 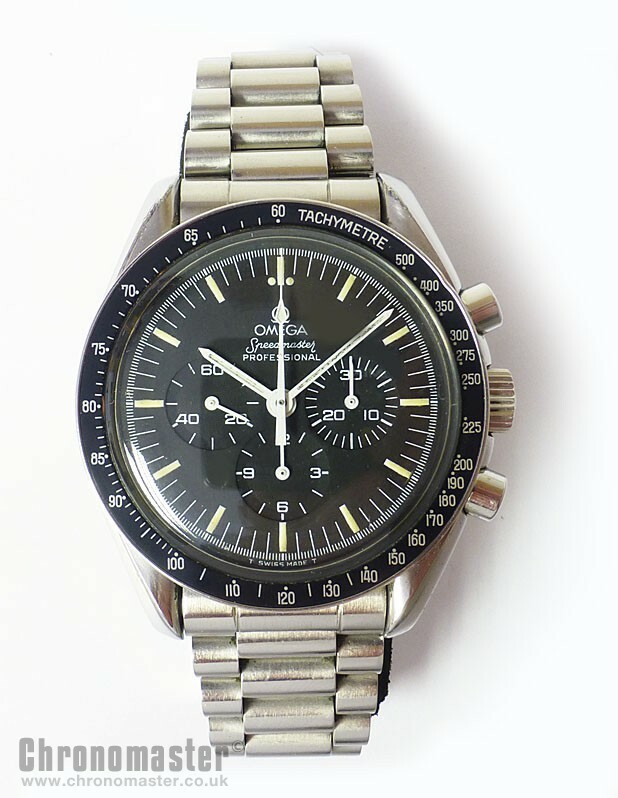 The watch had to pass all of the extreme testing for the good reason that during space travel, it would be subjected to the environments that were simulated during the tests. This being outer space, the most extreme and hostile environment known to man. Some of the conditions it required endurance was to survive massive acceleration, compression, extreme and instantaneous temperature and humidity changes, amongst more. It is true to the original design with manual winding mechanical movement, plexi crystal, and solid steel back. No box or papers but guaranteed one hundred percent genuine and authentic. Dimensions are Width including the crown is 42 mm, width excluding the crown is 44 mm, lug to lug is 48 mm and thickness is 14.5 mm.